Hydrogel Dressing, BUY Dermagran, Hydrophilic Dressing, DH03. 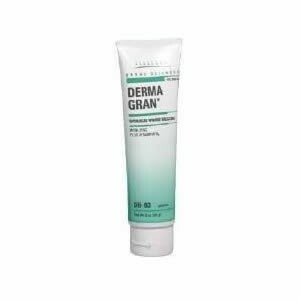 DermaGran Hydrogel Dressing, manufactured by Derma Sciences, is a hydrophyllic wound dressing containing hydrogel. Dermagran hydrogel dressing can be used to fill open wounds or cover burns, incisions, diabetic ulcers and venous stasis ulcers. 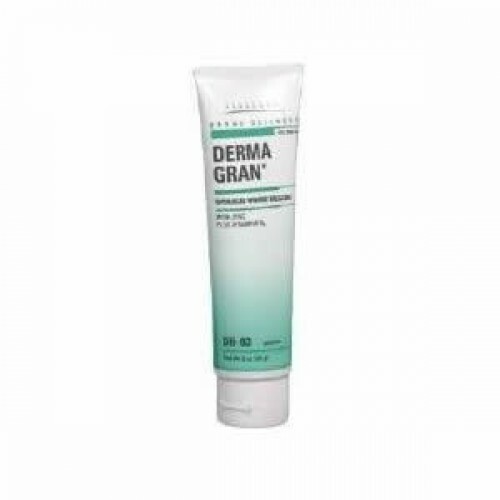 Dermagran Hydrophyllic Dressing is ideal for treating stage II - IV ulcers. Dermagran B wound dressings are unique because they create a mildly acidic environment optimal for healing. These Hydrogel Dressings are zinc rich and ph balanced to help create optimal moisture levels while wounds are healing.